In their quest to work with higher caliber clients, many small businesses play "follow the leader." They’d be much better off playing "follow the formula." 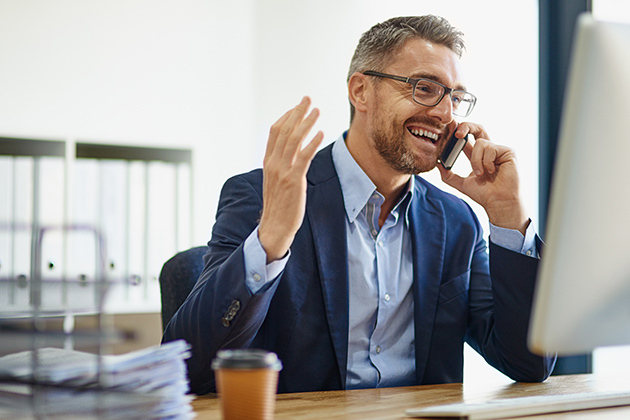 You’re unlikely to succeed if you copy the leaders in your field in your efforts to connect with more affluent clients. Marketing and networking exactly like other companies won’t help you get the results you want. That’s because you make a great you, but a lousy somebody else. You’ll have a far better chance of establishing long-term relationships with blue-chip buyers if you implement this five-step formula. Become the foremost expert on high-end prospects in your area. Find out who they are, where they are, and what their most pressing challenges are. Attend the events they attend, and ask lots of questions. Become familiar with the media and social networking channels they follow, and the groups to which they belong. Get to know their "buzz" — and their buzzwords. One excellent way to gain an understanding of your expertise in the luxury arena and establishing yourself is to survey the leaders in that marketplace. Poll them on their challenges, expansion plans and other goals, business confidence, or related topics, and publish the results in an article or blog post. Wow ‘em with your website. Use the site to highlight your company’s experience working with prominent clients. Include testimonials from your biggest fans. The "About Us" section should feature bios that spell out your special-ness, establish your expertise, and position you and others in your firm as uniquely qualified leaders in your field. Position your business as a "one-stop shop" for affluent clients. Include a complete list of all the products and services you provide, and you’ll create the impression that yours is the only company that prospects need to contact. Use marketing and branding messages that say and convey luxury. Adopt branding phrases that clearly distinguish and differentiate your firm, such as "Philadelphia’s premier wealth management firm," or "the Northwest’s luxury landscaping specialists." Speak the language of high-caliber clients, and speak to their issues. Market to the market by writing, speaking, tweeting, texting, messaging, blogging, and doing whatever else it takes to get your foot in their door. Pinpoint the biggest roadblocks top-tier prospects face in your industry, and explain how your products and services help them overcome those roadblocks. Act as if you already serve the high end market and, before you know it, you will. "Act as if," author Jack Canfield advises, "and you’ll start drawing to you" the very clients you seek. "Fake it to you make it," if necessary. That doesn’t mean lying about your credentials, but it does mean accentuating the positive about yourself and your company to the greatest degree possible. Point out that you’re "expanding" the business to focus on the high-end market. If you want high-caliber clients, charge high-caliber fees. Affluent people are used to paying top dollar for top quality service. Charge too little and you disqualify, rather than qualify, yourself for the luxury market. Share the return on investment that buyers receive when they work with you, and be prepared to differentiate your company from competitors who charge less. You may still get a few price objections, but that’s a good sign. Customers have to be at least somewhat interested in your services to question your price. You’re only five steps away from working with the kind of first-class clients you want and need. Simply learn, look, sound, act and charge the part of a first-class vendor.